Two Bedroomed Semi Detached First Floor Flat with gas central heating and UPVC double glazing. Comprises : Lobby with stairs to first floor Landing, Lounge with bay window, Kitchen with hob/oven, Bathroom/w.c. with white suite, Two Bedrooms. Garden to the rear. EPC Rating C.
Two Bedroomed Semi Detached First Floor Flat with gas central heating, UPVC double glazing and Gardens. Comprises : Entrance lobby and stairs to first floor Landing, Lounge with bay window, Kitchen with hob/oven, Bathroom/w.c. with white suite and shower, Two Bedrooms. Garden to the rear. Available Now. EPC Rating D.
Two Bedroomed First Floor Semi Detached Flat with gas central heating, UPVC double glazing and garden. Entrance lobby, stairs to first floor Landing, Lounge, Kitchen, Two Bedrooms, Bathroom/w.c. Garden to rear. Available Now. RENT £380 PCM plus water rates and fees. EPC Rating C.
50% OFF THE FIRST MONTHS RENT!<br /><br />Two Bedroomed Ground Floor Flat Available Now with gas central heating and UPVC double glazing. Comprises : Entrance hallway, Lounge, Kitchen with Beech effect units and hob/oven, Two Bedrooms, Bathroom/w.c. with white suite. Yard to the rear. EPC Rating C. <br /><br />Rent £375 PCM plus deposit and fees. Three Bedroomed First Floor Flat with gas central heating and UPVC double glazing. Lobby, stairs to first floor Landing, Three Bedrooms, Lounge, Kitchen, Bathroom/w.c. Available Now. 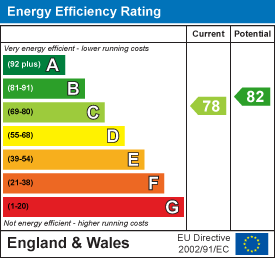 EPC Rating D. <br /><br />Rent £370 PCM plus water rates and fees. Two Bedroomed Ground Floor Flat with gas central heating and UPVC double glazing. Hallway, Lounge, Kitchen with Beech effect wall and floor units, Bathroom with white suite, Two Bedrooms, Yard to rear. <br /><br />Available Now. Rent £360 PCM plus water rates and fees. EPC Rating D.
Two Bedroomed First Floor Flat with gas central heating and UPVC double glazing. <br /><br />Lounge, Kitchen with hob/oven, Bathroom/w.c. with white suite and Shower, Two Bedrooms. Gardens. Available Now. Rent £360 PCM plus water rates and fees. <br /><br />EPC Rating D.